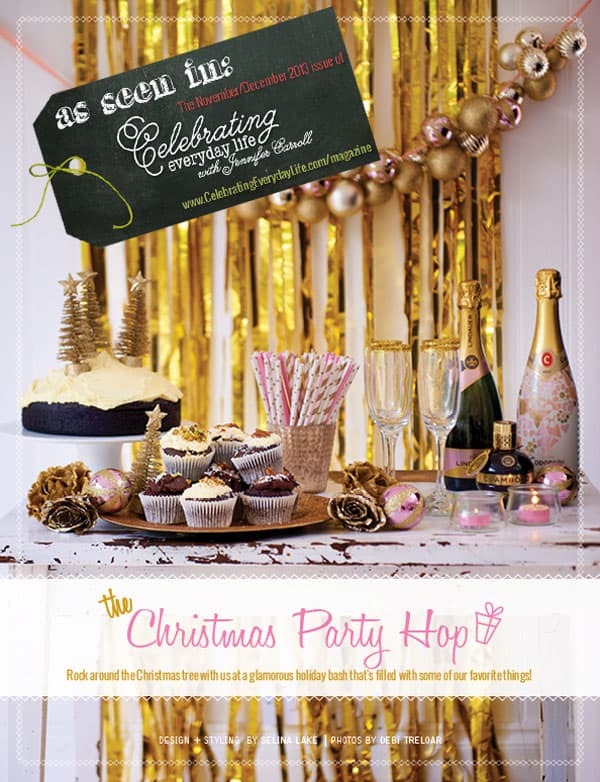 Y’all, I am tickled pink to be joining the fabulous ladies as a co-host of the The Scoop bloghop/linky party every week! Aren’t familiar with The Scoop? It is a well established weekly link party that is hosted on 6 different blogs, with a different guest host each week. For you bloggers, that means you just link up once to one of the blogs and be seen on all 6! For you readers, that means tons and tons of inspiration all in one place! We all know that Christmas is in full swing. 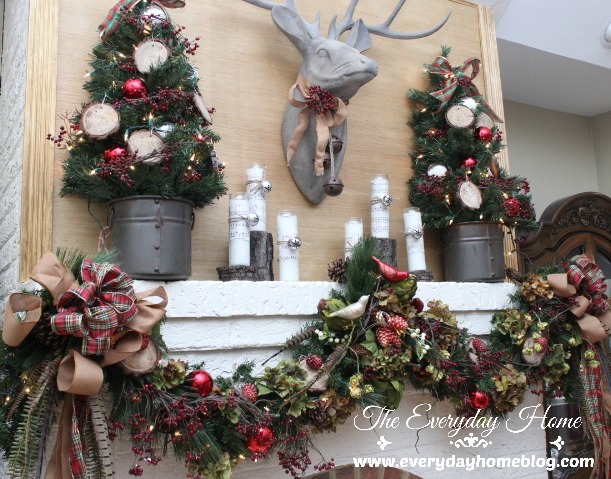 I’ve been decorating up a storm and shared a tour of my Christmas home last week. I’ll have more to share with you later this week, but for now let’s get this party started! …and new to the group…Suzy from Worthing Court. 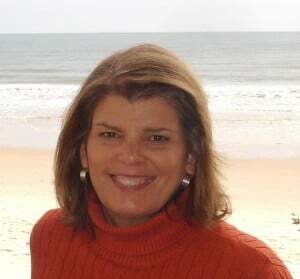 Our Host this Week is Barb with The Everyday Home Hi Everyone! 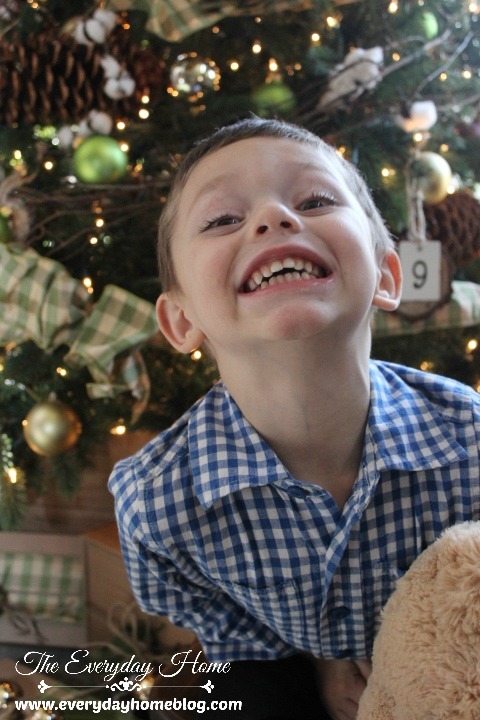 I actually have TWO very special people to introduce you to this week. 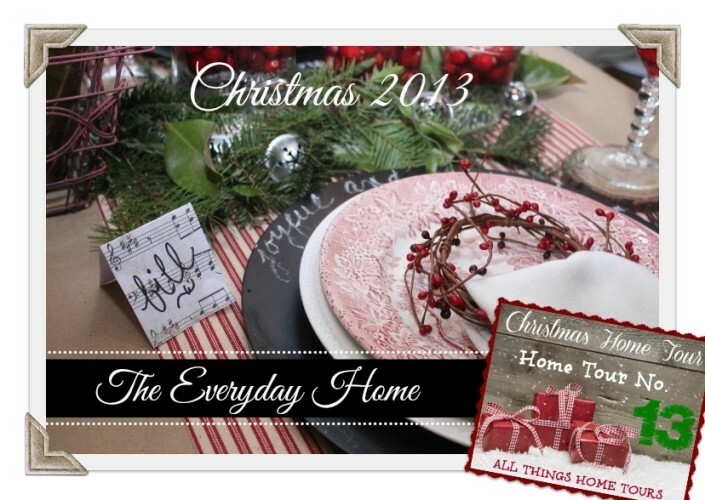 The Everyday Home 2013 Christmas Tour? would come to visit me. …we promise it will make you smile. The first person I would like to introduce you to is Suzy with Worthing Court. Hi everyone! I’m Suzy from Worthing Court. I’m over the moon excited to be added as the newest co-host at The Scoop! This is such a wonderful group of ladies who host The Scoop every week. I’m humbled to be joining them. I’ve been blogging at Worthing Court for about 2 1/2 years. When I started this venture it was purely meant as a creative outlet for me and a way to share my passion for all things home decor. Never in my wildest dreams did I imagine what it would morph into! The creative sharing is totally fun, but nothing compares to the people that I’ve met and the friendships that have developed along the way. I don’t have a bottomless pocketbook – I guess not many of us do – so you’ll often find me blogging about thrifty decorating projects and reusing items that I already own. 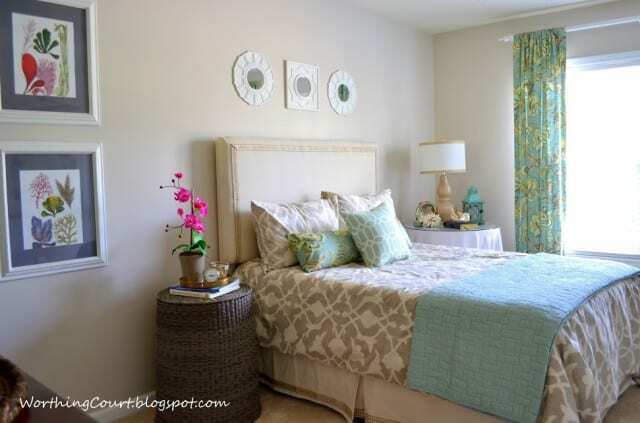 Like one of my guestrooms that I’ve been working on. I was in need of a size-specific thrifty nightstand and came up with the idea of using a laundry hamper turned upside-down. It works great! Ceiling medallions with round mirrors attached and spray painted frames and mats (that I already had) work great for inexpensive artwork. I’m a huge believer in “paying in forward”, so I love it when I can help others with their own Design Dilemmas. 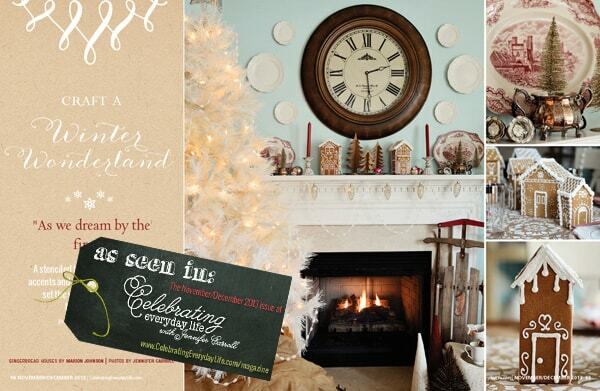 Right now, my step-by-step professional designer secrets for decorating a Christmas tree is extremely popular. 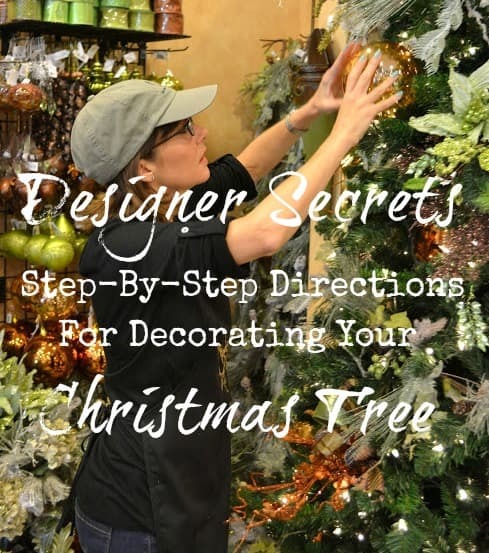 Their tips and directions apply to any tree – no matter the style of your decor. 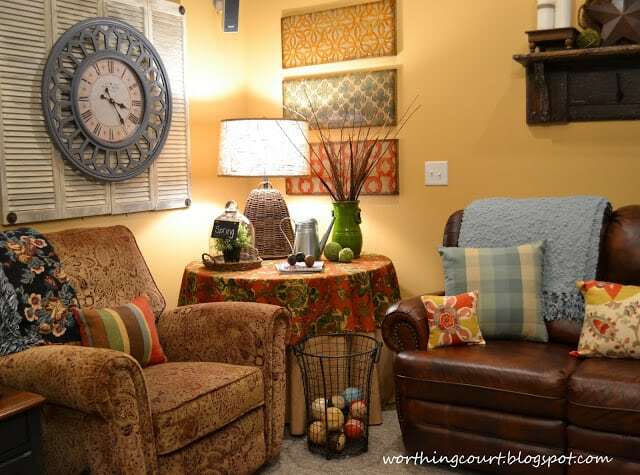 Along the lines of using what I have, I recently completed the re-do of my basement family room. I had to deal with wall color that I don’t like and furniture that I don’t care for. Check out all of the diy projects involved, the before and afters and my tricks for keeping the eye from focusing on the furniture too much. Every now and then, I’ll share a Recipe too. I know what it’s like to be a working mom, so I’m all about easy, fast and tasty when it comes to recipes! We have a teeny-tiny condo located on the oceanfront in North Carolina that I like to share projects from too. Take a look at these DIY Bookcases From Kitchen Cabinets that my hubby completed a few months ago. This is just the tip of the iceberg. I have lots to share and I love learning from you too! Please join me at Worthing Court. I look forward to meeting you! Thanks Suzy and welcome to The Scoop! The next person I would like to introduce is our special Guest Host. 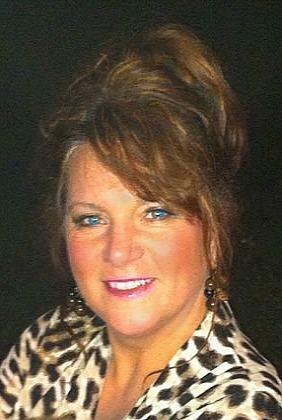 Please welcome Jennifer Carroll with Celebrating Everyday Life with Jennifer Carroll. Hello friends both old and new! I’m delighted to be guest hosting “The Scoop” with you this week. 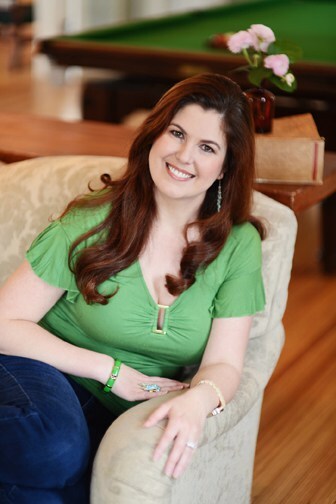 For those of you who haven’t met me before, my name is Jennifer and I am the publisher of Celebrating Everyday Life with Jennifer Carroll, the magazine and blog. 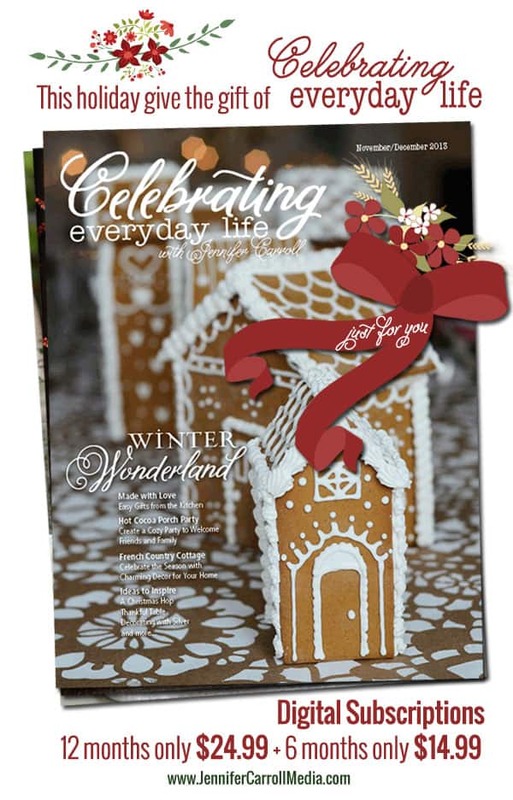 My magazine is published six times per year and is filled with food, decor and inspiration to help you celebrate, everyday! 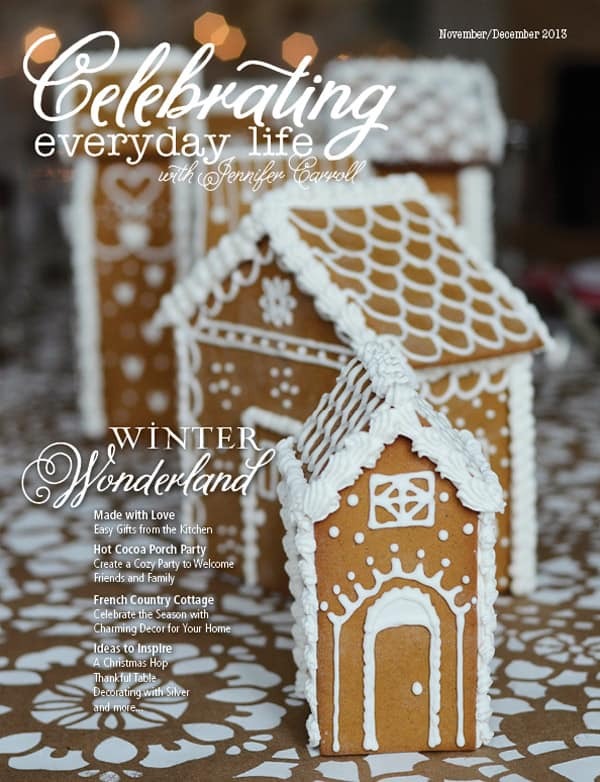 In the November/December issue we celebrate the holidays and all the joys they bring! 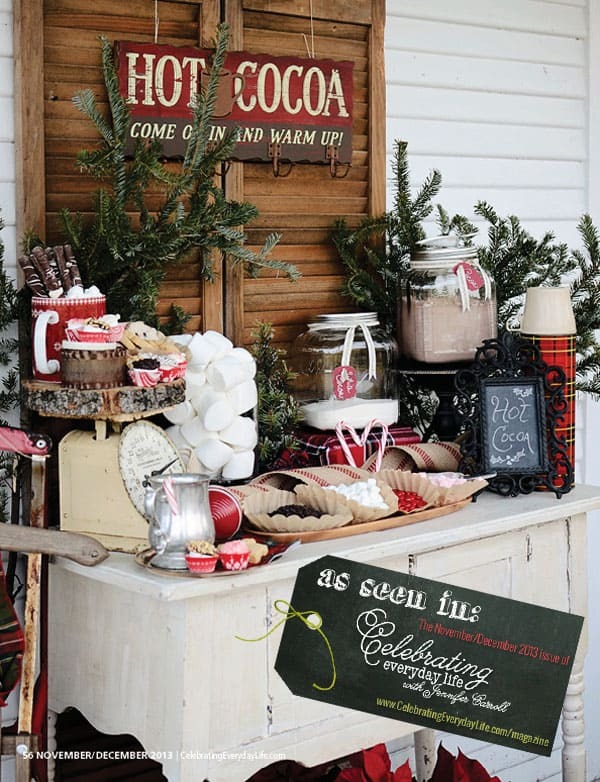 Fun & festive DIY projects, beautiful homes, delicious recipes and much, much more! Oh and I have exciting news! We now offer six month and twelve month digital subscriptions! These make wonderful gifts this holiday season!! OK, let’s get down to The Scoop! 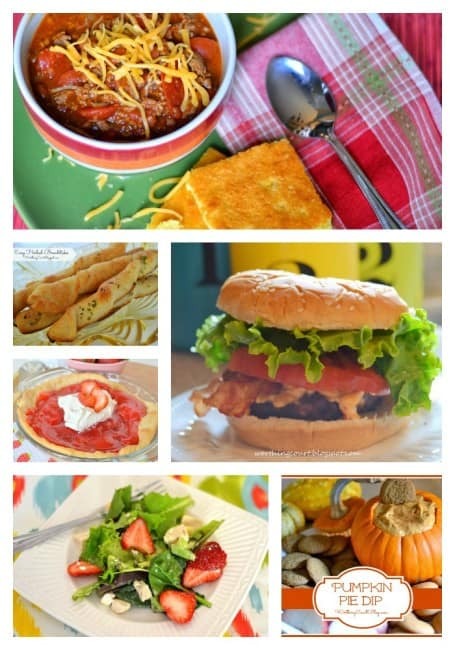 I was asked to pick 5-6 favorites from the link party – sounds simple, right? Wrong. This was so, so difficult because there were so many amazing projects and I sincerely mean that. But since I had to pick, here are some links that I especially loved and hope you will too. 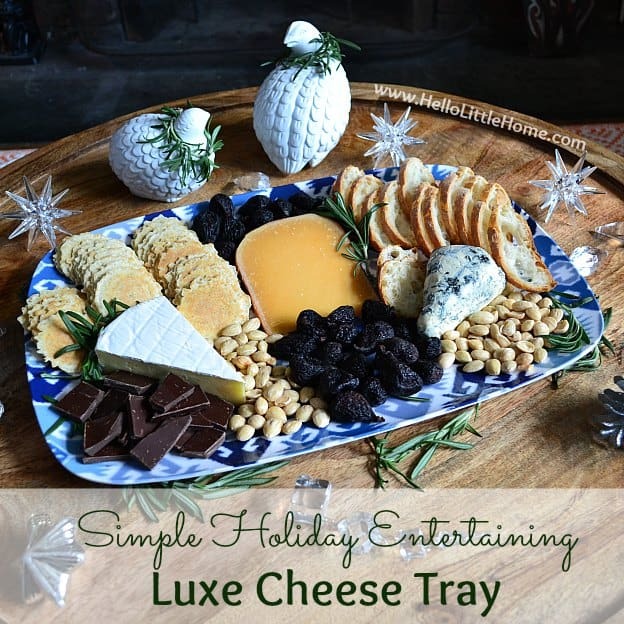 First up, if you know me, you know I love entertaining and thought this Luxe Cheese Tray tutorial from Hello Little Home was perfect for this season of entertaining but also imaginative. Chocolate on a cheese tray? What a great idea! Plus, Kristen gave a lot of great details and tips on selecting and arranging too. 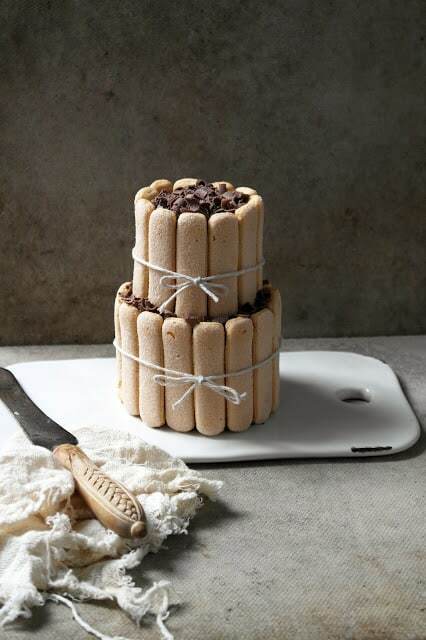 I am always awed and delighted with Amy from Twigg Studios’ Creations and she has not disappointed me with this spectacular looking Tiramisu cake. 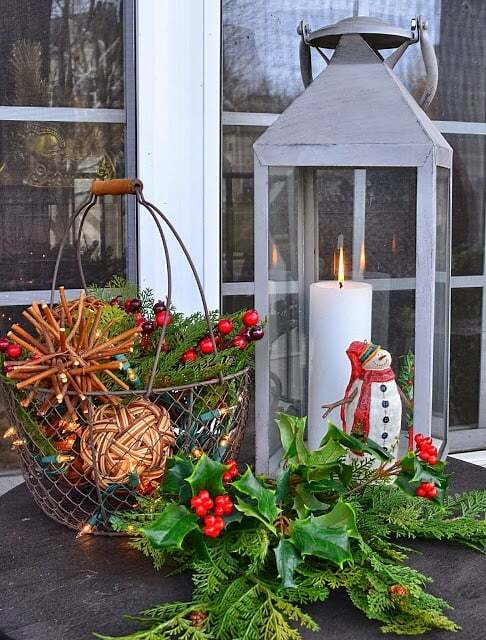 Who wouldn’t want to run right up to that if you saw it at a holiday party? It’s almost too pretty to eat… but only almost! Grab a fork! 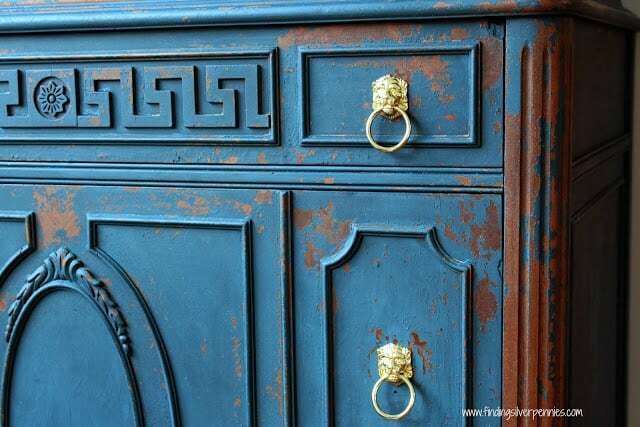 I love great DIY furniture makeovers and was so smitten with “Jameson” by Danielle at Silver Pennies. What a talent she has for creating that “crumbled/distressed to perfection” look that I adore! 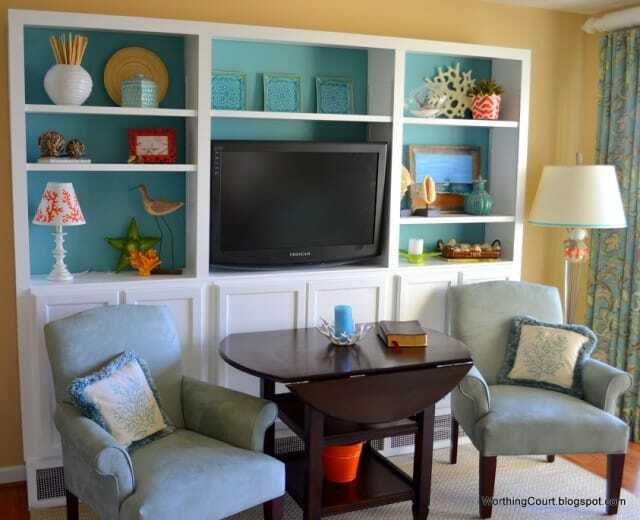 Makes me want to makeover another piece of furniture, right now! This Lampshade Christmas Tree from Danielle at Blessed Serendipity totally surprised me with its adorableness! 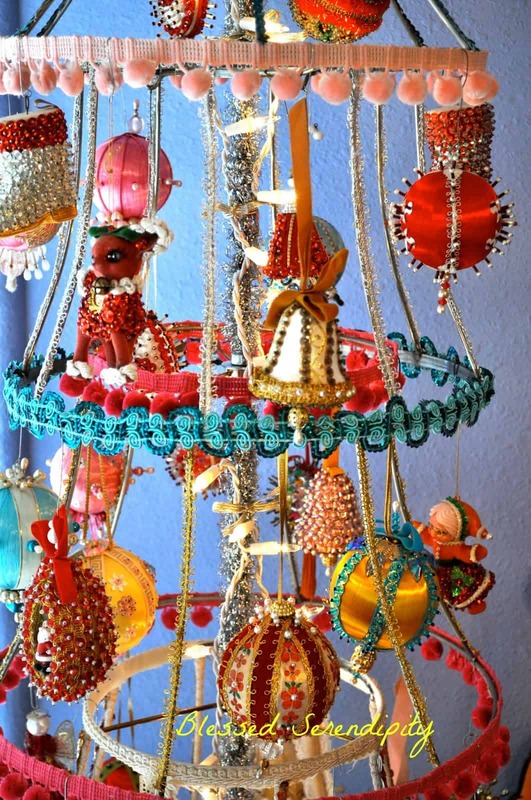 I haven’t always had an appreciation for vintage “kitschy” ornaments but in the last couple of years they’ve been growing on me and her unique tree with its masses of beaded baubles and cheerful colors just makes me smile. So sweet! I recently got a bunch of tiny vintage tart pans (although mine aren’t French!) so I was very inspired by Kathleen from Faded Charm’s French Tin Tarts ornament project. 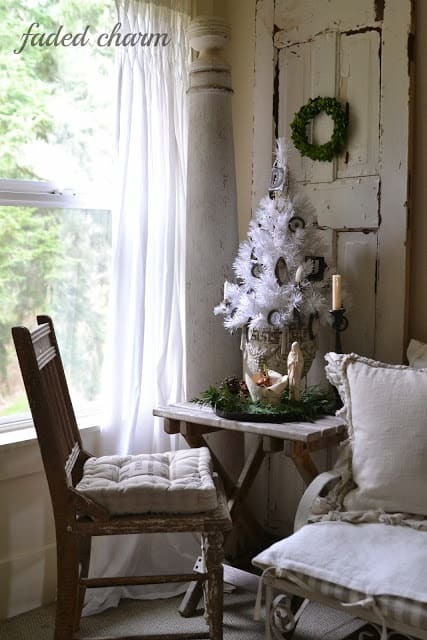 She has created such a serene setting, I want to just sit back, relax and soak in all the joie de Noel that is happening over there! 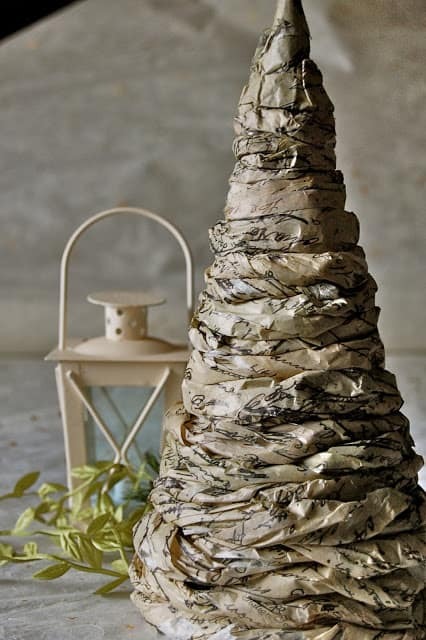 I am a big fan of easy projects that deliver a great look – the whole ‘luxe for less’ concept – and I have to say that this Tissue Paper Christmas Tree from Poppi Linn Studio fits this to a “T”. A simple project that looks like a million bucks. I can’t wait to try it! It doesn’t hurt that it does look similar to a bee skep and I have a growing collection of them… Now I can make my own variations! Love that!! Thank you all for allowing me to party with you this week. It’s been an honor and a pleasure! Thank you so much Jennifer. We loved having you as our Guest Host. And…thank you for linking up, friends! Hello. impressive occupation. I did not anticipate this. This is a impressive hearsay. Thanks!